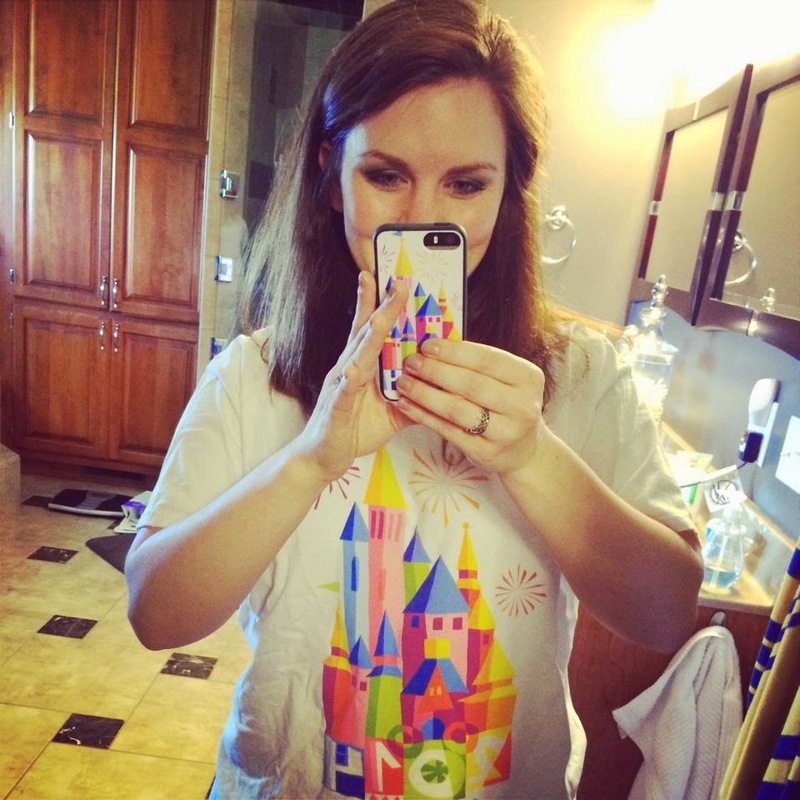 The Real Mom's Disney team would like to welcome Ashley as our first guest contributor! We are so excited to have her on board! You'll be seeing some great posts from her every other week, so be sure to check in regularly! Check out her bio on our "About Us" page and leave her some comment love! So not everyone likes Disney. 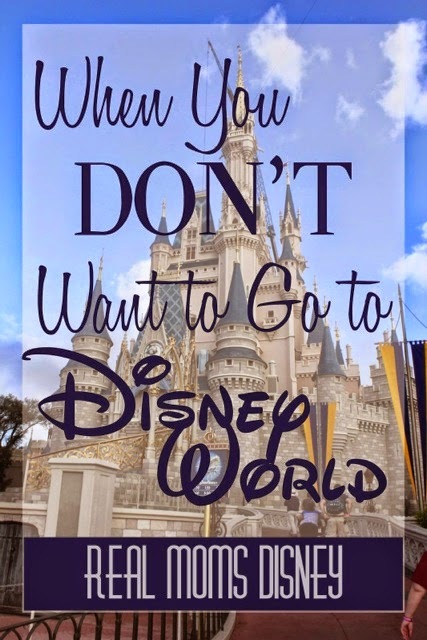 The movies, the "culture," the theme parks. . .or maybe they're okay with the movies and are totally fine with their kids being obsessed with "Let It Go," but the thought of going to Walt Disney World makes them want to run, hide, cry, or all of the above. Recently, I came across an article where a mom wrote a tongue-in-cheek letter to her kids, telling them they aren't ever going to Disney World. Period. Granted, with those types of articles you never know how much is really serious (when the tone is that sarcastic). One of the analogies the author used was that she would "rather do a shot of Windex" than bunk with her kids in a hotel room (she also cited more Disney-specific complaints like waiting in long lines). As you can imagine, the comments started hurling back and forth and people were LIVID that someone would be so snarky about Disney World. And I admit, I was kind of irritated at the tone of the article, because I felt like her complaints had more to do with personal issues than Disney itself, and I kind of felt like she insinuated that any of us who succumb to this "craziness" are total suckers. Again, I know it was written mostly for humor, but I just don't care for rudeness/sarcasm pervading an entire article like that. I did laugh at some of the wording and analogies she used - she's very witty and I know a lot of people related to what she was writing. In fact, I talked with a few friends about it because I know several moms who have ZERO desire to go and are kind of dreading it (but they know they want to give that experience to their kids - which I think is so sweet!). There are a LOT of people who absolutely love Disney and we AREN'T crazy or creepily stuck in our childhoods! :) For me personally, I've shared before that my earliest memories are at Disney World because we lived in Orlando. We knew a ton of people that worked there and they would sign us in, so we were there a LOT. My mom also loved Disney, so we were raised with the movies and music. It's REALLY sentimental and special to me for a lot of reasons. But I do recognize that's not the case for everyone, and some people just aren't into the whole Disney thing. And that's totally fine!! Clearly a happy childhood is NOT defined by things like going to Disney World! But I DO think that it's an opportunity to make really special memories as a family. So next I got to thinking. . .what would I tell people that don't like Disney and don't really want to go, but are considering taking their kids anyway? Kurt and I actually talked about it (yes, we discuss things like this), and since we've done Disney with kids several times now, I wanted to share what we came up with! TIMING, TIMING, TIMING. I'm going to break this down into two categories, but TIMING IS EVERYTHING with Disney! This applies to the time of year you go, and also the ages of your kids! Choose the right time to go! Kurt's only point of reference for Disney were memories of temps being hotter than you-know-where and waiting in 3 hour lines. They went a couple of times during his childhood and went during the summer (and of course this was before FastPass, etc.!). Disney has evolved so much over the years, but one thing that hasn't changed is Orlando weather. I highly, HIGHLY recommend going during the late fall and winter months!! August and September are also considered low season, but the weather is still really hot and it's also hurricane season. I know people who have had really successful vacations during those months, but we definitely prioritize cooler temperatures!! I've said many times that your first line of defense against crowds and heat is to go during a lower season. We've always had really good experiences in January and February (but we always try to avoid Marathon weekend and MLK weekend if we can because there's kind of an influx of people). I use the EasyWDW website to figure out when to go. Josh does an incredible job of putting these calendars together! Choose the right ages for your kids. The very youngest age I would take my own kids would be around 2 years old (Lynley will be 20 months when we go next time). However, if you don't foresee yourself doing Disney more than once, or if you know you'll only go maybe twice, WAIT. I think you get the most out of Disney at two different times: when your kids are old enough to be sort of self-sufficient but still love the magical part of Disney (about 4-6ish years old) and then when they're old enough to enjoy the "thrills" or more mature rides/experiences (depending on height, maybe 9-12 years old?). I personally think the 4-7 year age bracket is the best because you get the most out of what Disney is offering ("magic," characters, traditional dark rides, they're still probably into "pretending" etc.). If you're going only once, make sure your kids are no younger than 4 years old. You want them to remember! Any behavioral problems you have at home will be magnified at Disney World, so work on that first. This is a big one. I noticed in the article I mentioned earlier, the author kept referencing the stress of traveling with kids, them whining about souvenirs, saying it was "paying to be tortured," etc. I totally understand that traveling with kids can be STRESSFUL. It just has really overwhelming moments. However, here's an example: If you KNOW your kids struggle with restaurants - like they make you want to pull your hair out right now - either put off your Disney trip or just understand that you can't do any sit-down Table Service or Character meals. If you're okay with doing quick Counter Service (fast food) meals the whole time, you're probably in good shape! Otherwise just wait until that's a skill you feel like you've mastered at home. Do your kids have major problems with obeying and consistently throw tantrums all the time? If you're in a difficult stage at home, DO NOT think that it will just go away at Disney World. In fact, it will be magnified in a major way because Disney CAN be overload for most kids. Unless you pace yourself and really watch your kids' cues, they WILL melt down. How do your kids respond when you're in Target and you pass the toy aisle? Do they whine, cry and sass when they don't get to take home a toy? Disney will be like that on steroids. Stuff is everywhere, and with the right strategy in place, it is COMPLETELY doable! But you have to take into account that you'll need to train your kids at home FIRST. Again, if you're in a difficult behavioral phase, wait until it's easier at home and it will be easier at Disney. Like I said above, age is such an important factor here. Do your homework and prepare them at home. Identify what you're stressed about and find the solutions. Is it money? Being overwhelmed with planning? Crowds? Long lines? Believe it or not, all of these fears and stressors have solutions. For example, if money is a concern, start reading blogs like Couponing to Disney or use Pinterest to find articles about the MANY ways people save for their Disney trips. 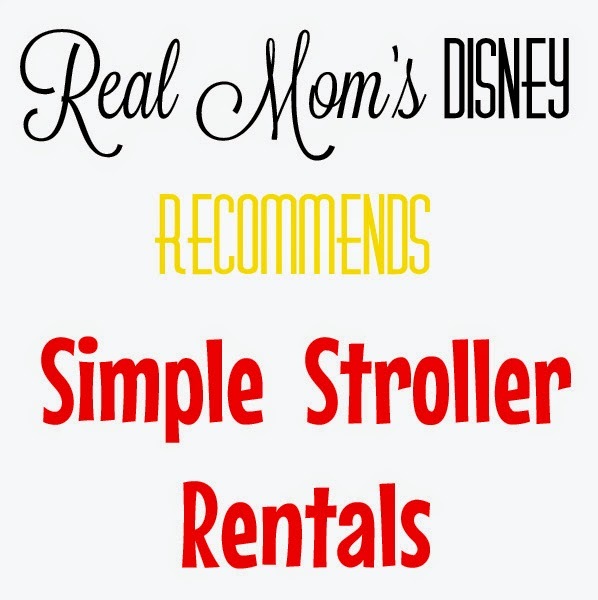 You can also save money by going during Value Season and staying at a Value resort or even off Disney property (I've found that very often it IS cheaper to stay at a Disney resort, though!). Consider going when Disney offers Free Dining, and also consider bringing your own food for breakfast and snacks. Buy Dollar Store souvenirs that you can surprise your kids with at the end of each day (instead of spending on souvenirs in the parks). Break down what is worrying you and seek out ways to minimize the stress. Most of the time it's not Disney itself that's the "enemy" - it's the variables that can be overwhelming and make you want to run, and you can tackle them. Disney WANTS to give you a great experience! Really, they do! Do they want you to spend money there? Of course. It would be stupid to think otherwise. Disney is a business. Businesses want to make money. Kurt and I have never ONCE complained about the costs at Disney because their excellence and customer service is unparalleled. Seriously, it's amazing. As with most things in life, you get what you pay for. Have we had uncharacteristic moments there? Of course. No vacation or company is perfect! But the overarching theme at Disney is excellence. They are always responding to what families want. From easy planning tools online, to being able to schedule things in advance, to the free transportation and the millions of little "touches" they add, we truly believe that Disney wants you to have a wonderful time with your family. Take advantage of all that they offer and enjoy the excellence! Your attitude is EVERYTHING. Don't view Disney as the Big Bad Wolf that wants to take your money and eat your wallet for lunch. Don't complain about how they're the Corporate Bad Guy and anyone who drinks the Magical Kool-Aid is dumb. No one denies that it can be expensive to take a Disney trip, and it's definitely an investment - I'm not making light of that at all! It's just about your attitude. When you're there in the parks and spending time with your family, your attitude COMPLETELY sets the tone. A trip or so ago, I had a really weird "off" day where our schedule wasn't going right and it was hard to navigate. I regret how I acted that day, because it's unlike me to not fully enjoy Disney, and my irritation was rubbing off on everyone. Focus on the memories being made, and remember the whole reason your came. Even if YOU don't like Disney World, you probably decided to make the trip anyway for the sake of your kids. So focus on their excitement and enjoyment! See it from their eyes and don't be the snarky "Disney is dumb" person. If you roll your eyes at every adult wearing Mickey ears or families wearing matching shirts, you will wear yourself out and be miserable because you will see that EVERYWHERE! People are just acting like kids again. Embrace it! If crowds are starting to get to you, go back to your hotel for a break. Just keep a positive attitude! Look at other options in Orlando to break up your trip. There's Legoland, Universal Studios, SeaWorld, and more! Split up your trip so that you're able to see Harry Potter and ride all the thrill rides at Universal, if that's your thing. Or spend a day at one of the Disney water parks! If you think 5 days straight of Disney will make you fall down a black hole, you have other options! Utilize the help of friends, the internet, and Disney travel agents! If you don't enjoy Disney or the planning process, BELIEVE ME - there are tons of people who do! :) Ask advice from friends who have recently been, look at Pinterest to read tips and find blogs (like this one!) that highlight what other families have done. Or, if you really don't want to hear/read anything about it (like the author of the article-ha! ), there are Disney planners that will help you with everything. Their services are FREE. You really can be hands-off if you want to be, but honestly I think that when you're invested in the planning stage, you can appreciate the payoff. When you booked the Princess meal for your daughter and she squeals with excitement when Cinderella comes in, it's a great feeling. Is it eternal, life-changing stuff? No. But it's just a really happy and satisfying feeling when you know you've helped create a lifelong memory. There is so much out there and so many people who truly enjoy it - utilize all of it! If you really, REALLY don't want to go to Disney World - don't. No one is making you, and like I said - a rich, happy childhood isn't defined by how many visits to the Magic Kingdom you make. It's a personal choice! We're Disney people, and we will continue going year after year, because every single experience is different and fun. But your family might be "beach people" or "skiing people" or "mountains people." Or you might be "local water park people" or "we stay home people." However you choose to spend time with your family is up to you! But REALLY consider giving Disney a chance! People make fun of the hyperbole that can surround a Disney vacation, but in all honesty, for a lot of people it really does live up to the hype. It's all in how you look at it, and making wise decisions along the way!